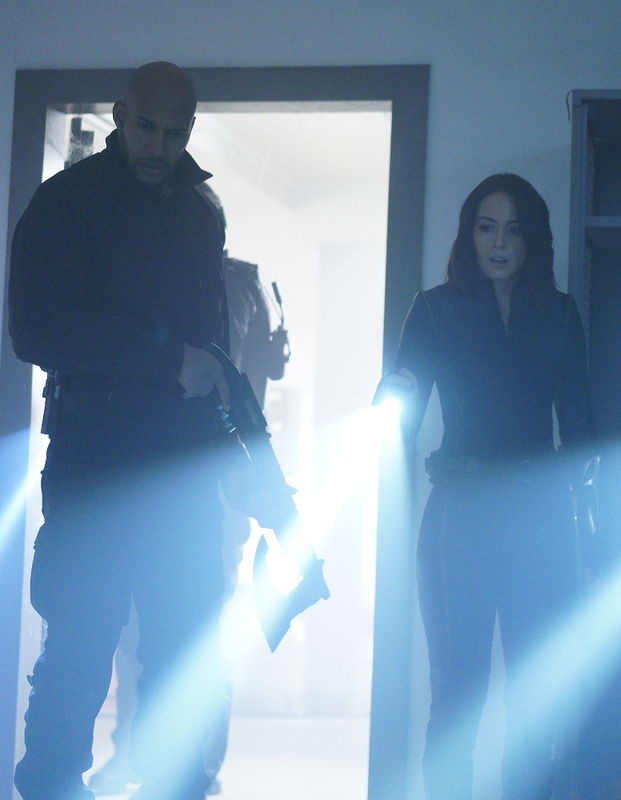 ABC and Marvel have released a new Marvel’s Agents of SHIELD clip that takes a look at episode 4×14, “The Man Behind the Shield.” Check it out in the player below for a look at the penultimate episode of the show’s LMD (“Life Model Decoy”) arc. RELATED: Marvel Phase 3 Videos: See the Stars Meet, New Concept Art and Lots More! 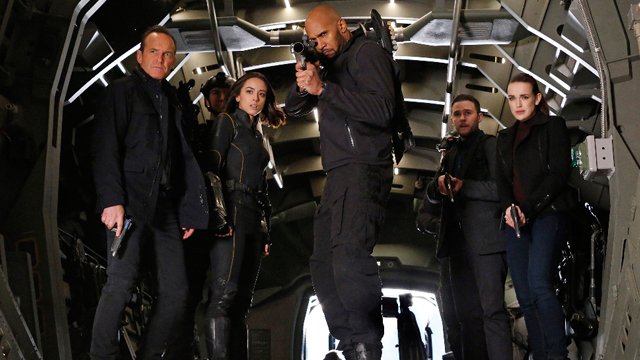 “The Man Behind the Shield,” airing February 14, continues SHIELD‘s LMD (“Life Model Decoy”) arc as, on the heels of their encounter with Ghost Rider, their strangest phenomenon yet, the Agents of S.H.I.E.L.D. suddenly find themselves up against a myriad of new and ongoing threats: The anti-Inhuman Watchdogs are gaining political influence with Senator Nadeer, and uniting behind a mysterious benefactor. Now, Director Jeffrey Mace (Jason O’Mara) fights for his life while Coulson and team find themselves in a deadly cat-and-mouse game as they attempt his rescue. Where do you think “The Man Behind the Shield” will take the LMD story? Where do you think the series will head for its final season four arc? Share your thoughts in the comments below!